The Army and Marine Corps are hoping to cooperate more when it comes to electronic warfare and have a planned a series of exercises that would help make their work more seamless. As the military’s two ground forces, officials say it is imperative the organizations work together to have greater situational awareness and not jam each other in a more sophisticated electromagnetic spectrum environment. Two months ago, the Army’s Fort Huachuca hosted a joint operational integration assessment where the Marines brought their electronic warfare kit and ran it through a scenario with an Army kit brought from the 82nd Airborne Division with the goal of learning how each works. While interoperability is limited for now, only existing at shared databases, the Army and Marine Corps are focused on improving their capabilities and sharing abilities. Army Maj. Gen. Robert Walters, commander of the Intelligence Center of Excellence, said the two sides gathered information during the exercise and a table top exercise followed a month later. Walters, speaking at a July 18 event hosted by the Association of Old Crows on Capitol Hill, said that exercise was conducted at a senior level and focused on how the two services could integrate better. Walters said another joint assessment with the Marines is scheduled and will involve participation from the Air Force and Navy. In addition, the next table top will include the Air Force as to get a more holistic joint perspective. Marines and Army also participated together in an exercise in June at Fort Gordon. Marines from the 9th Communications Battalion from I MEF Information Group participated in Cyber Quest at Fort Gordon. 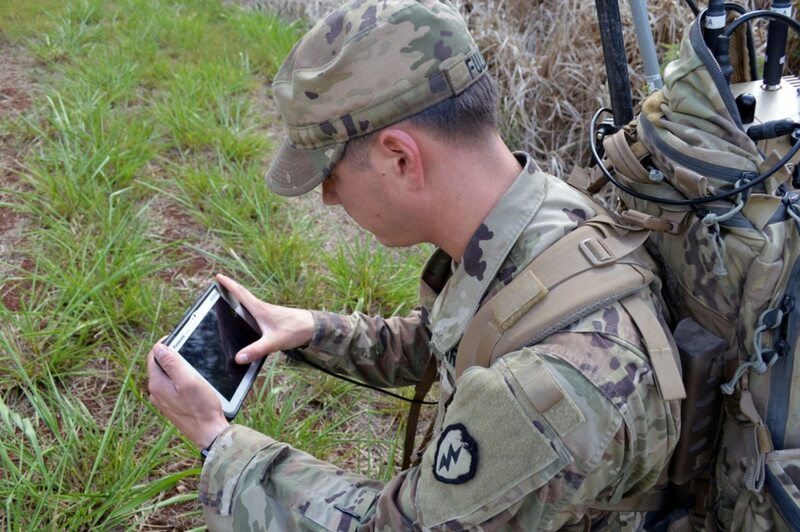 Cyber Quest seeks to inform operational concepts as the Army continues to build cyber capacity and reestablish electronic warfare capacity and serves to inform operational requirements of new systems to counter threats.